Last year, I splurged on an expensive wall calendar at Anthropologie. And now after a 12 month love affair with this changeable art installation in my kitchen, I think I've turned into a calendar gal. For the past few months, I've been on the hunt for the perfect 2013 edition. 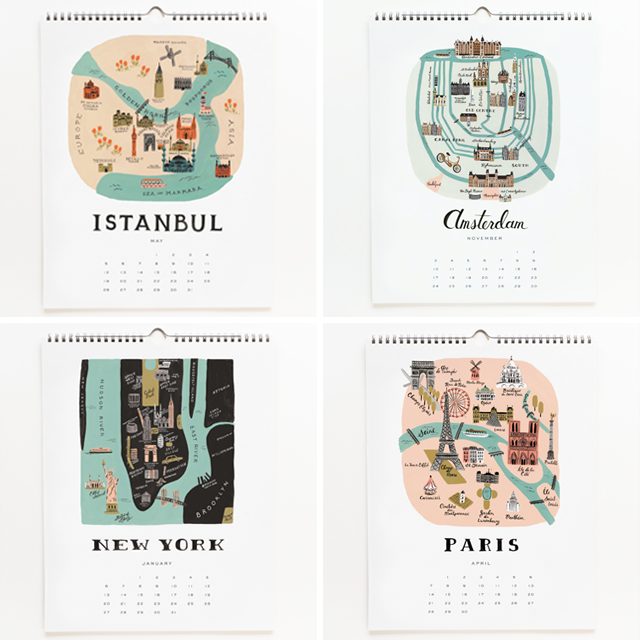 So, when I discovered Rifle Paper Co.'s Cities Calendar, I was completely sold. Think it's too early to put it up?